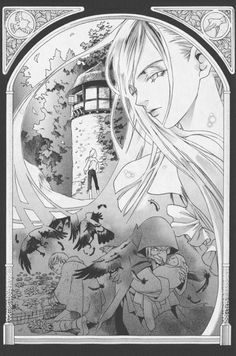 Ladies and gentlemen, the most bishonen-y take on classic fairy tales you could possibly find! Or, at least, the most since Dictatorial Grimoire. Grimm’s Manga Tales is a collection of fairy tale retellings by manga artist Kei Ishiyama. 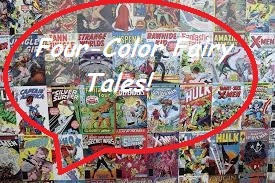 Along the way, she gives all the tales in question a manga “twist”. Sometimes it’s depictions of magic and the supernatural that more reflects how they’re depicted in Japanese popular culture, but mostly it seems to be attitudes towards romance, gender and sexuality as they’re depicted in shoujo manga (note: “shoujo” means “girl” basically. Comics for girls). The stories adapted are “Little Red Riding Hood”, “Rapunzel”, “Hansel and Gretel”, “The Two Brothers”, “Snow White”, “Puss in Boots”, “The Frog Prince” and “The Singing, Springing Lark”. But let’s get back to that word I used before:“bishonen”. Pronounced “bee-show-nen”, the word basically translates to “beautiful boy”. The basic definition is “a young man whose beauty and sexual appeal transcends the boundary of gender and sexual orientation”. In general, bishonen characters are drawn as slight of build with long, flowing hair and limbs, with delicate features and big, expressive eyes. Basically, they are drawn with traits that would normally be drawn on women. Bishonen characters tend to be very popular among girls and women in Japan. Perhaps it’s because they serve to break down some otherwise rigid social barriers and gender stereotypes. So, in the version of “Rapunzel” in this manga, the child that is traded away for vegetables and grows into a beautiful adult isn’t a girl, it’s a boy. Yes, a male Rapunzel complete with absurdly long ponytail. A lot of the other elements are the same, just gender-swapped. And in “Hansel and Gretel”, Hansel is a beautiful boy and the witch is a rich lady who wants to support him as a kept man. And when the princess in “The Twelve Huntsmen” disguises herself as a huntsman, the huntsman is . . . you guessed it . . . a bishonen. One that her prince feels an undeniable connection to, thus making him question a few things. There are other stories in there too. There’s a “Frog Prince” which is more of a “Frog Princess”. There are versions of “Little Red Riding Hood” and “Puss in Boots” that cast both the wolf and Puss in ways that are more like manga depictions of the yokai of Japanese lore. There’s also a bittersweet version of “Snow White” in which one of the dwarfs falls for her. But in the modern world we’re in and the social climate we’re in, it’s probably the bishonen stories that stand out the most. Society (or at least American society) is questioning just how solid or ingrained qualities like sexuality and gender identity really are. That might be for the best, too. It’s good to question things. Especially things that seem like they’ve simply always been the way they are. 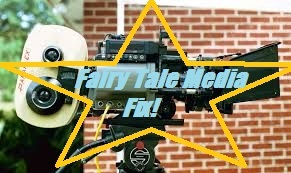 The fairy tale world is far from separate from all this. One story that’s really caused a buzz lately is a graphic novel titled The Prince and the Dressmaker which is a fairy tale inspired story in which the titular prince doesn’t exactly conform to traditional gender roles. And right now, there are probably some people reading this post who are feeling weirded out by the whole concept and the fact that things they thought were hard and fast rules of society aren’t anymore. And that’s okay, actually. Being weirded out is fine. It’s just important to remember that just because something’s outside your comfort zone doesn’t mean it’s wrong, bad or fundamentally immoral. 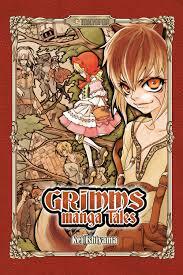 As for Grimms Manga Tales, I think it’s a decent collection of fairy tale adaptations with twists. I think it does what it sets out to do very well. It may not be my favorite book of retellings, but it’s far from the worst one I’ve ever read. 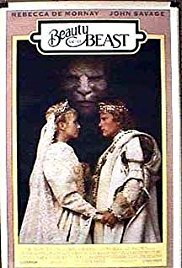 I’d especially recommend it to people who like stories that question or subvert the usual gender dynamics in fairy tales.